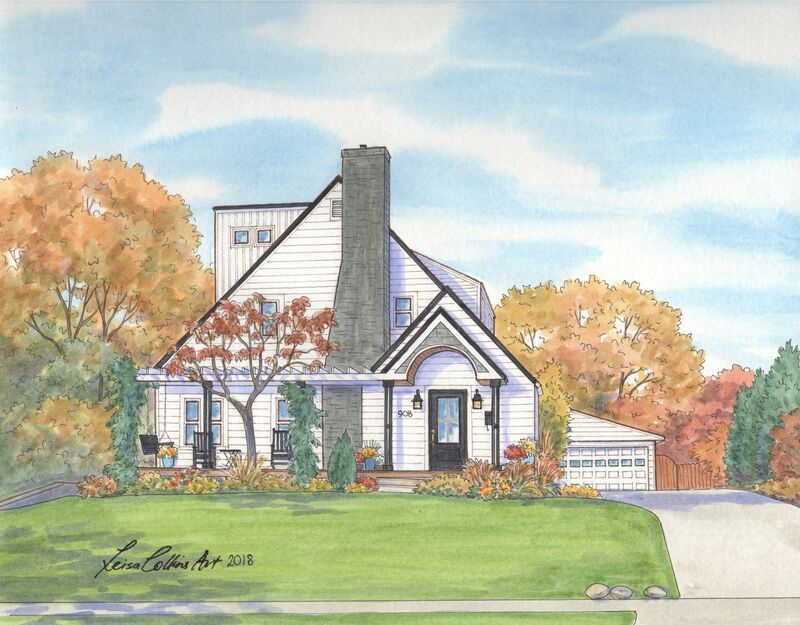 Completion of my East Grand Rapids MI House Portrait Collection! Home / House Portraits / Completion of my East Grand Rapids MI House Portrait Collection! 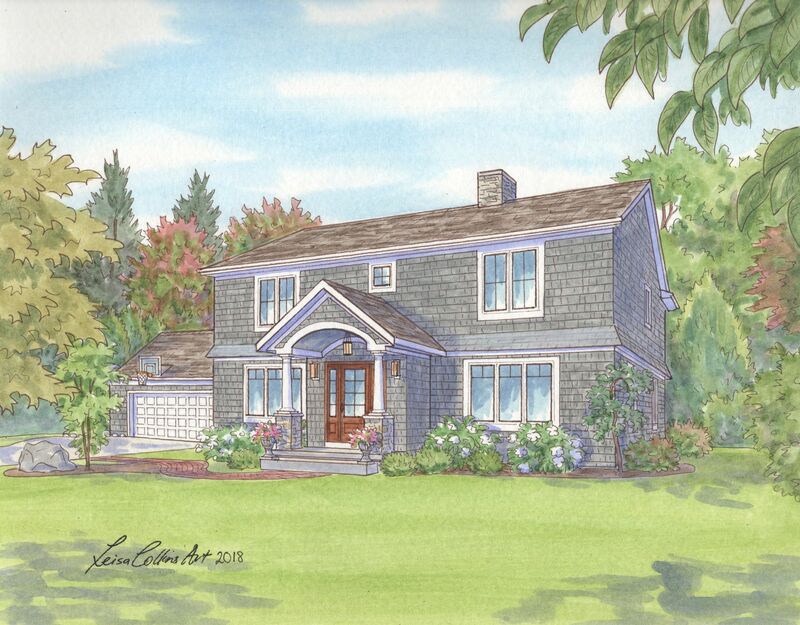 Craftsman style, Victorians, Tudors and Dutch Colonial Home Portraits of East Grand Rapids. I come to Michigan often, being that my husband of 30 years hails from Lansing Michigan. The lakes and rivers and lush green countryside remind me of my homeland of New Zealand. One of our favorite Michigan cities is Grand Rapids. It has a fascinating history, starting with its Native American roots and fur trading past. Not to mention how it grew to be one of the greatest furniture making cities, and still retains that status today. Heritage Hill is the oldest part of the city and is the largest urban historic district in the country. I love the Victorian grandeur of this area and am currently in the process of selecting my favorite homes in order to create a house portrait series of Heritage Hill homes. However there are many other homes in Grand Rapids that are over a hundred years old, the majority being built between the 1920s and 1950s due to a surge in housing needs. 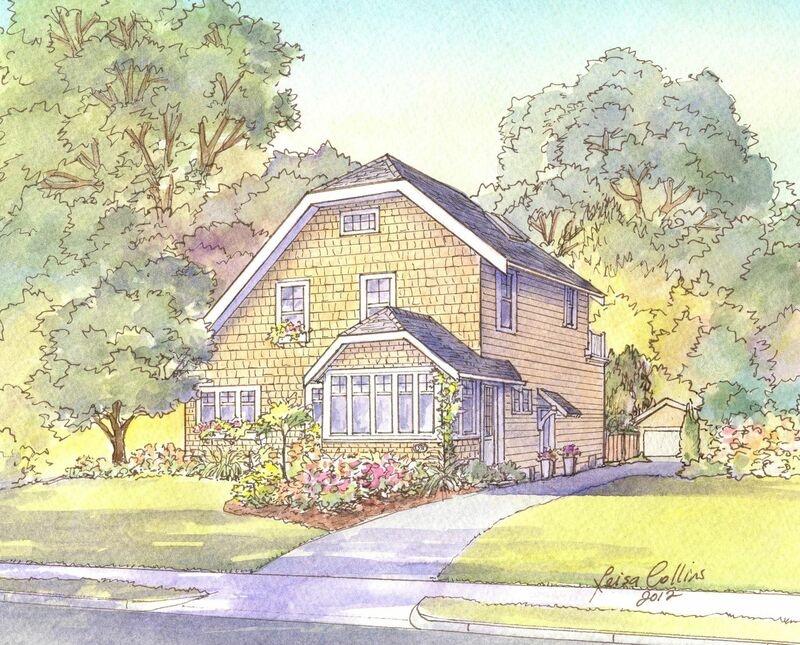 These include styles such as Victorian, Colonial, Tudor, Craftsmans, bungalow and ranch type homes, as well as many nicely designed new builds. The area of Grand Rapids that I have focused on so far is the the city of East Grand Rapids. This city is so full of old world charm that I was compelled to find out more about it’s history. I learned that this lakeside neighborhood was first settled in and established almost 200 years ago. Being that it is only about four miles from downtown Grand Rapids, it is a quick drive from the busy metropolitan area and we found it to be a picturesque escape from the traffic and bussle. We soon fell in love with it’s relaxed vibe as it has a nice leisurely old town feel about it. Not to mention the wonderful cafes, restaurants and vintage stores too. Especially in the Gaslight Village district. If you would like to learn more about the history of the city, there is a great write up on the City of East Grand Rapids website written by the local volunteer historian, Mary Dersch, who happens to be a client of mine. 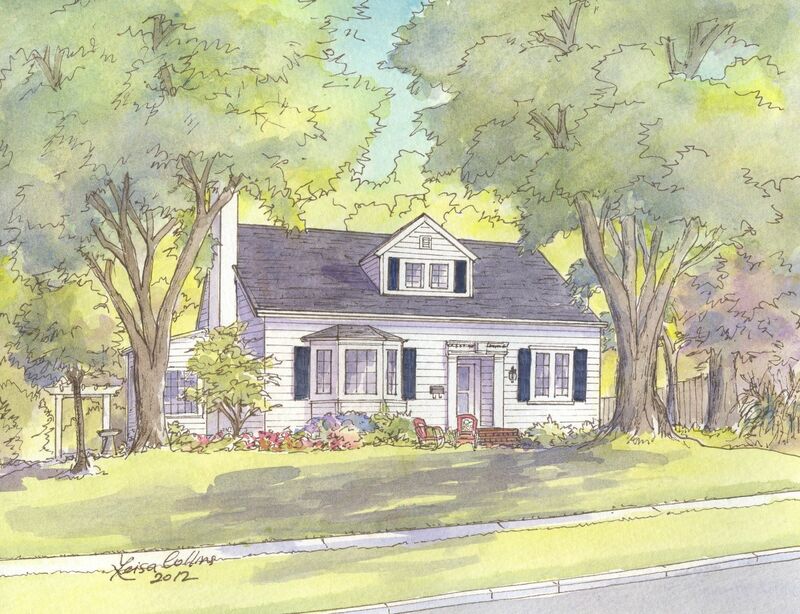 In fact her cute Dutch Colonial home is featured above. So here is my East Grand Rapids House Portrait collection! Most of these homes are now on display in their owner’s home. I hope you enjoy how I have captured the unique charm and history of these lovely homes. 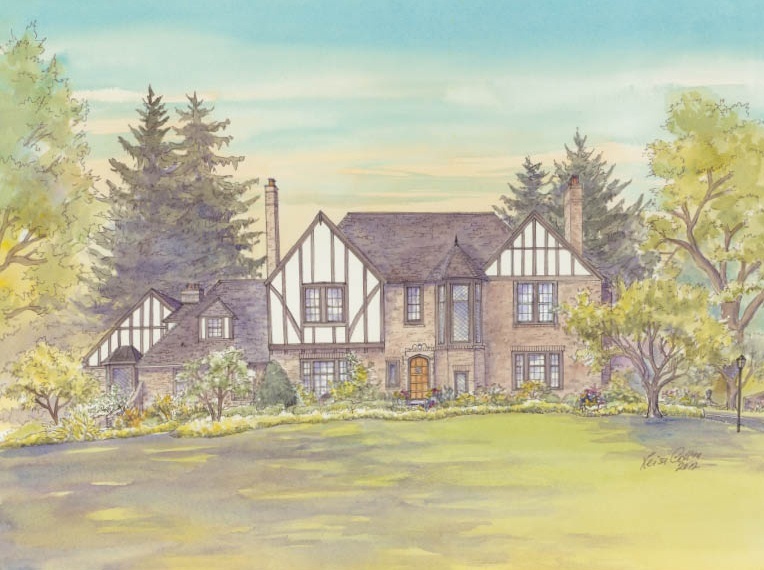 An East Grand Rapids Tudor, complimented by a large, colorful front yard. 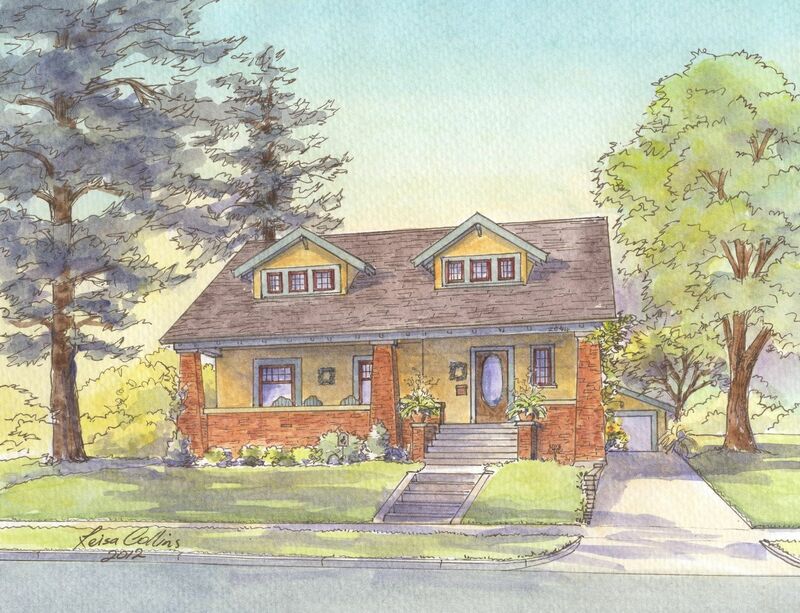 A cheerful yellow Craftsman bungalow in East Grand Rapids. 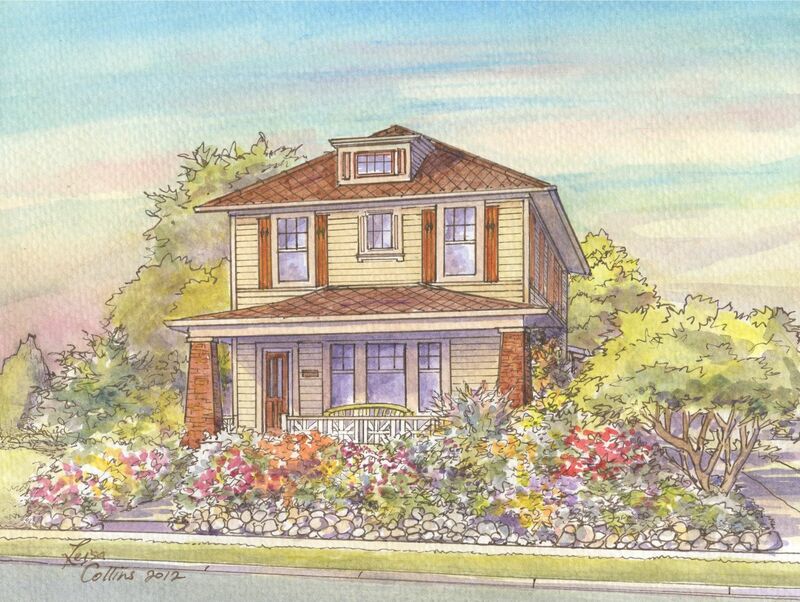 This East Grand Rapid bungalow’s vibrant landscaping adds to the homey charm of this house portrait. I love how this East Grand Rapids home is framed between these flowing tree branches and winding brick pathway! The glory of spring! 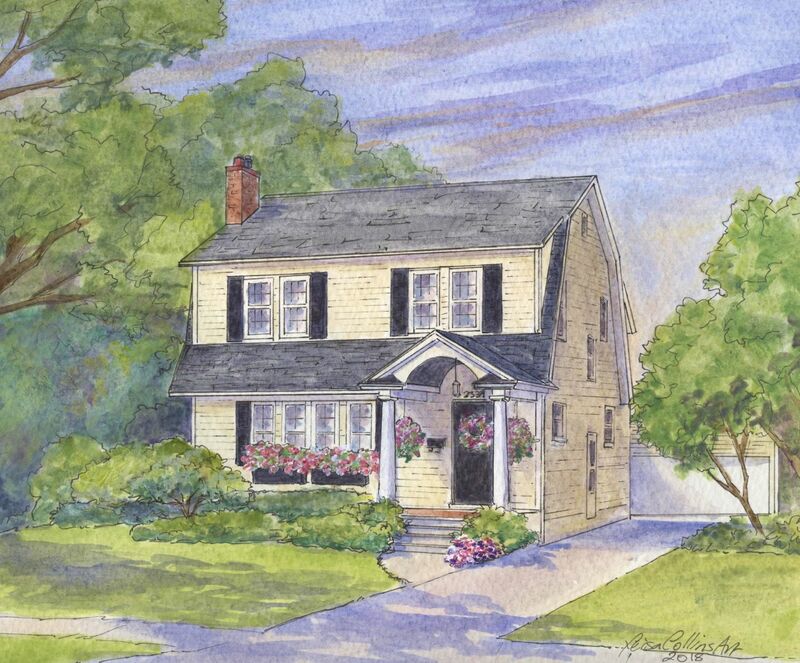 A beautifully maintained Colonial style home in the East Grand Rapids neighborhood. 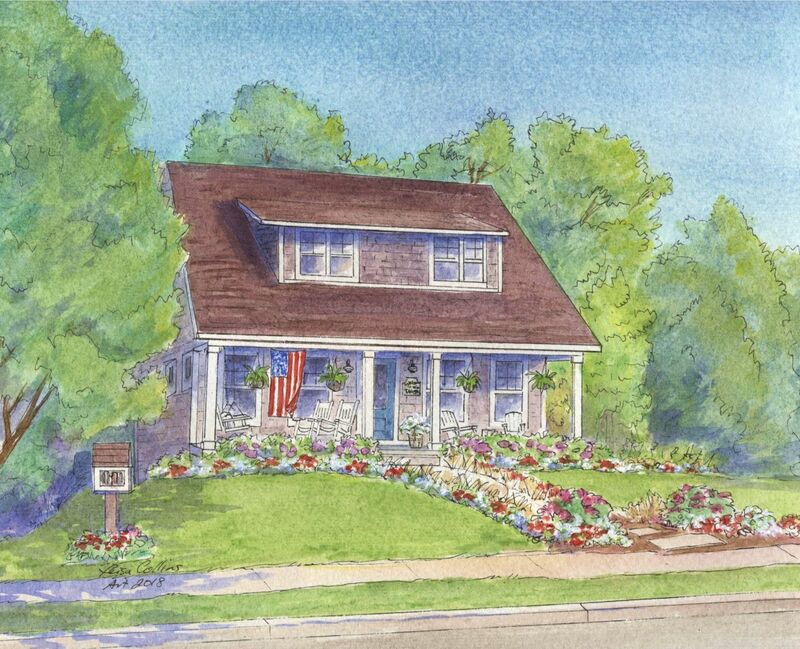 The lovely front garden adds even more character to this East Grand Rapids Michigan house portrait. 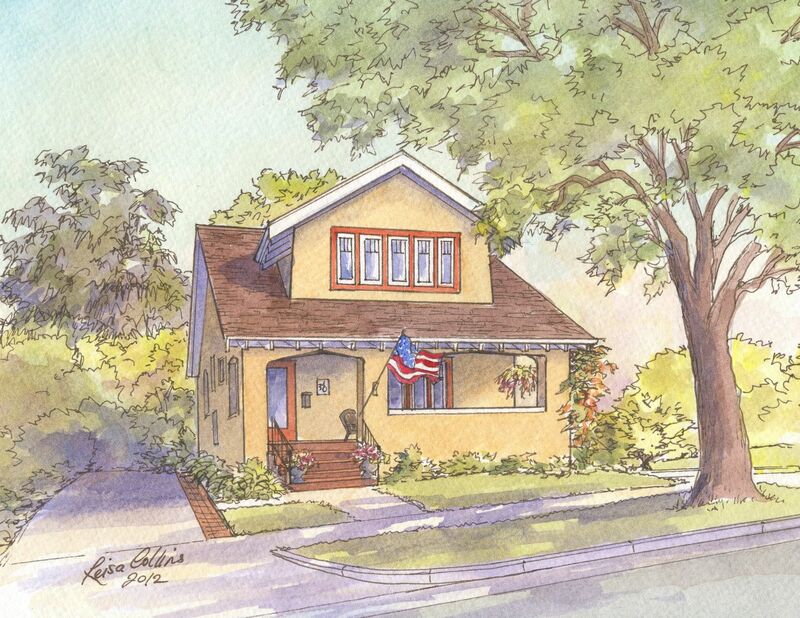 A great example of a East Grand Rapids historic home. 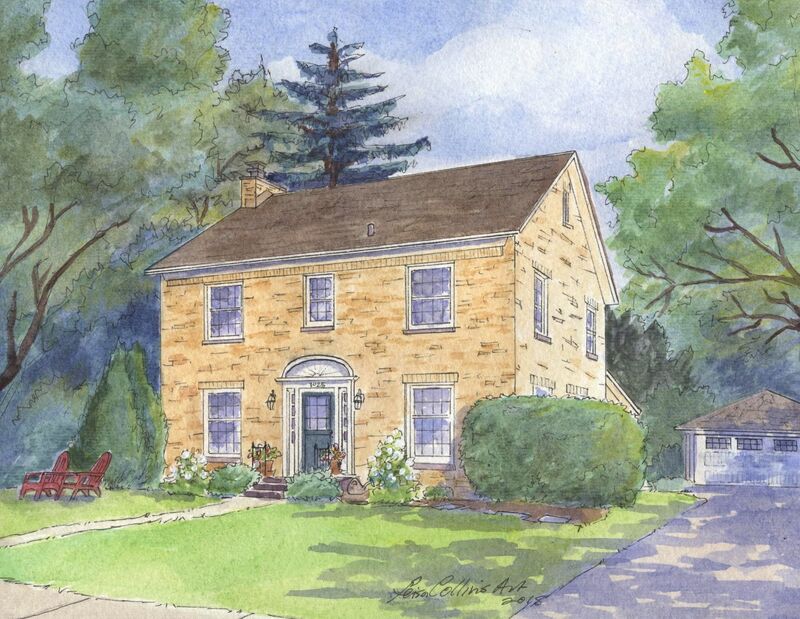 Dutch Colonial house portrait makes a lovely family home in the East Grand Rapids neighborhood. 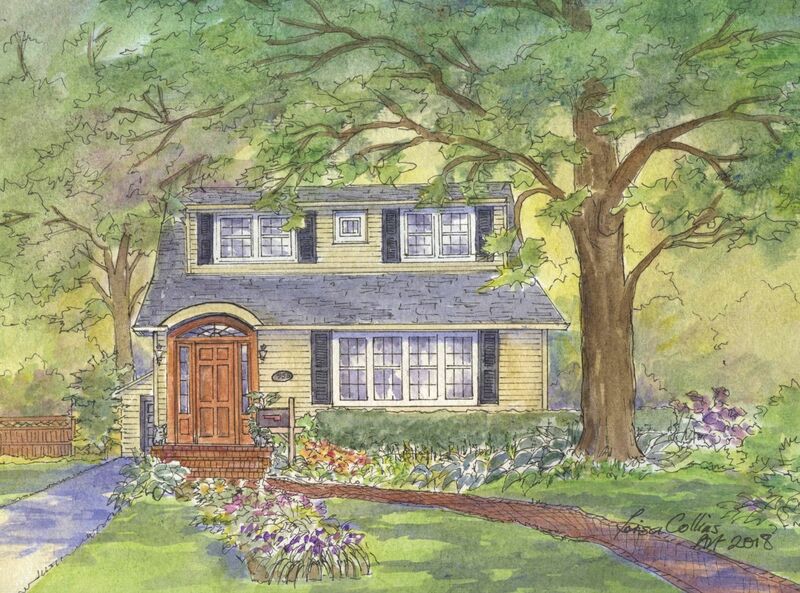 A simple, yet well-loved home with pretty landscaping in East Grand Rapids. 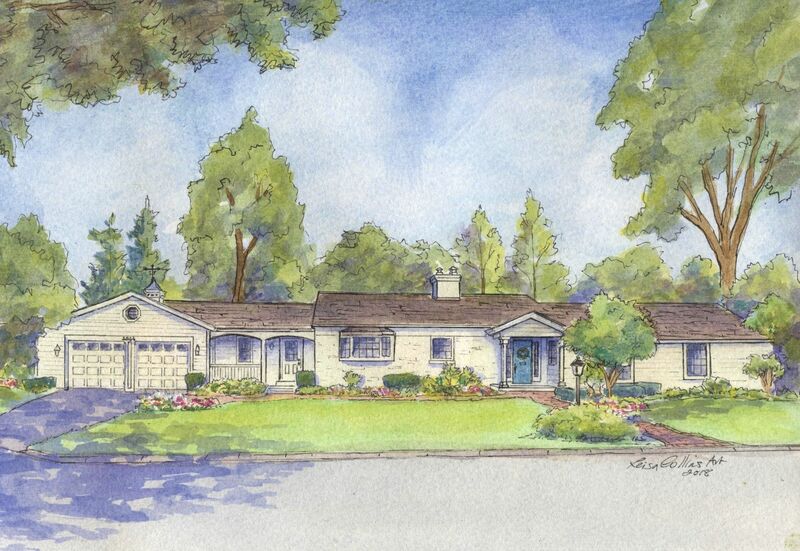 This Mid-Century Ranch style home in East Grand Rapids is surrounded with of vibrant greens – beautiful! Another selection of a well-maintained Ranch style home in the city of East Grand Rapids. 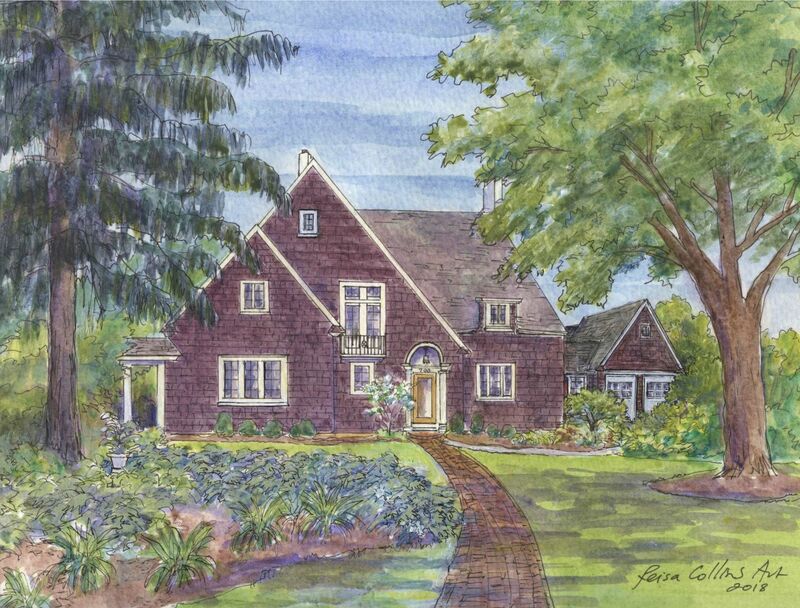 A stunning Tudor style house portrait in East Grand Rapids. See other examples of my Tudor homes here. 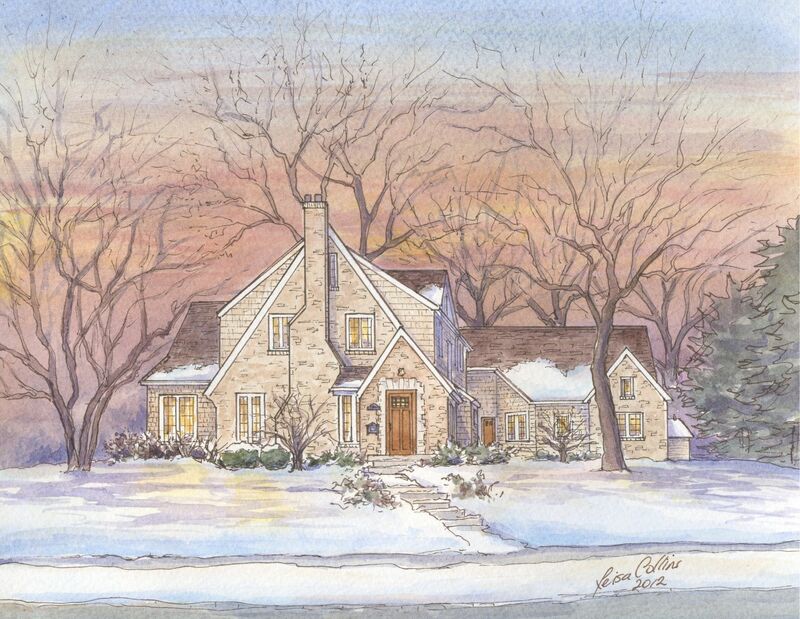 Another lovely East Grand Rapids Tudor style cottage home depicted during the winter months. 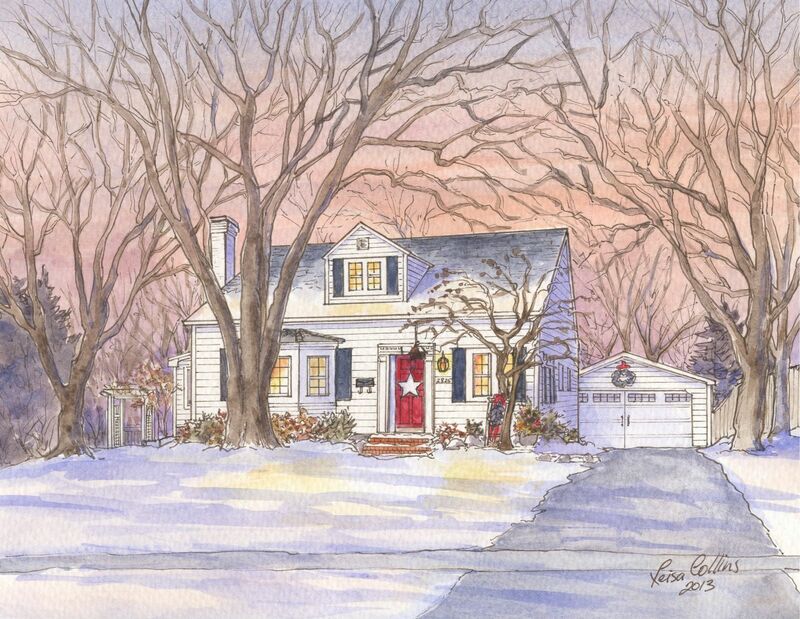 I go into greater detail about why a house portrait painted during the winter months can be just as beautiful as a house painted during the springtime in this post! 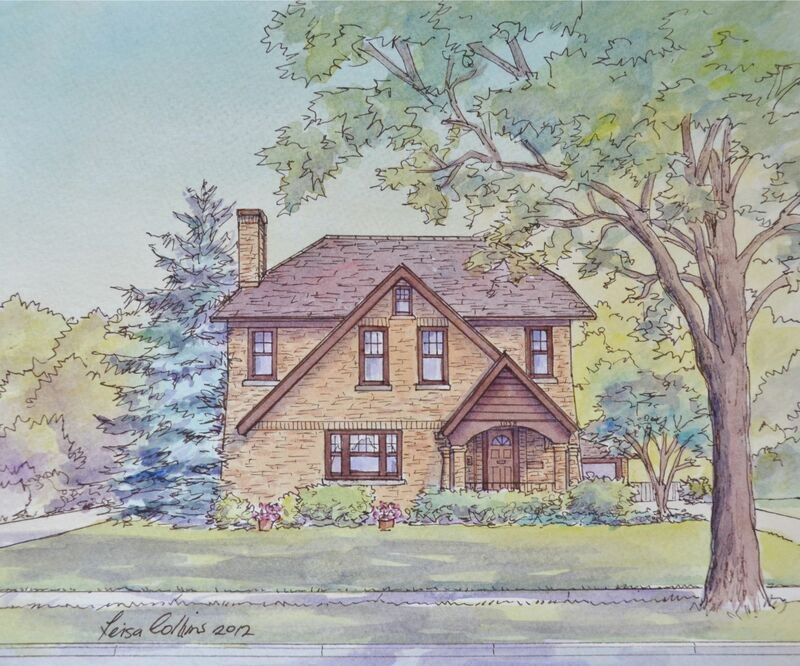 A delightful brick Colonial home in East Grand Rapids. Another selection of a charming Tudor home in the East Grand Rapids neighborhood. 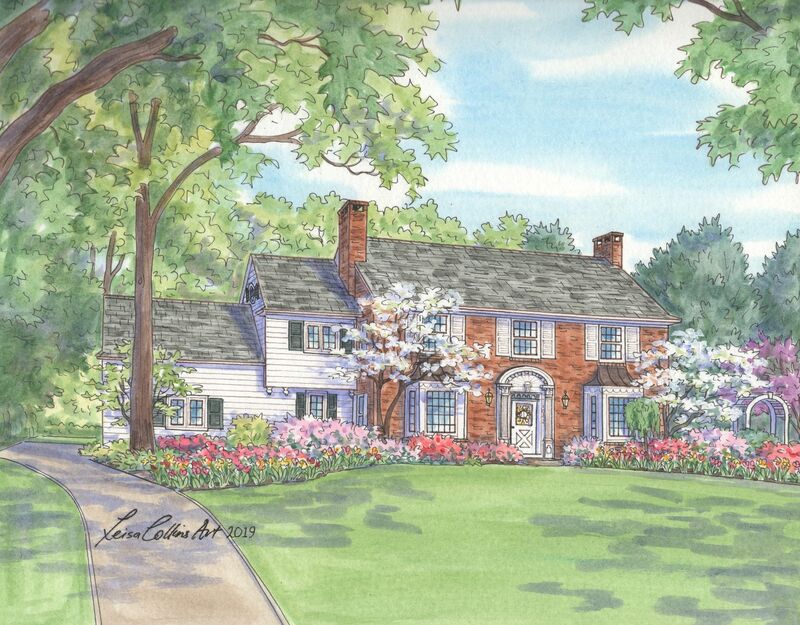 A Colonial-inspired home in East Grand Rapids. Yellow seems to be a popular color for homes in East Grand Rapids neighborhoods, and I can understand why! It is complimented by the lush greenery surrounding the homes and allows other details of the home to pop. 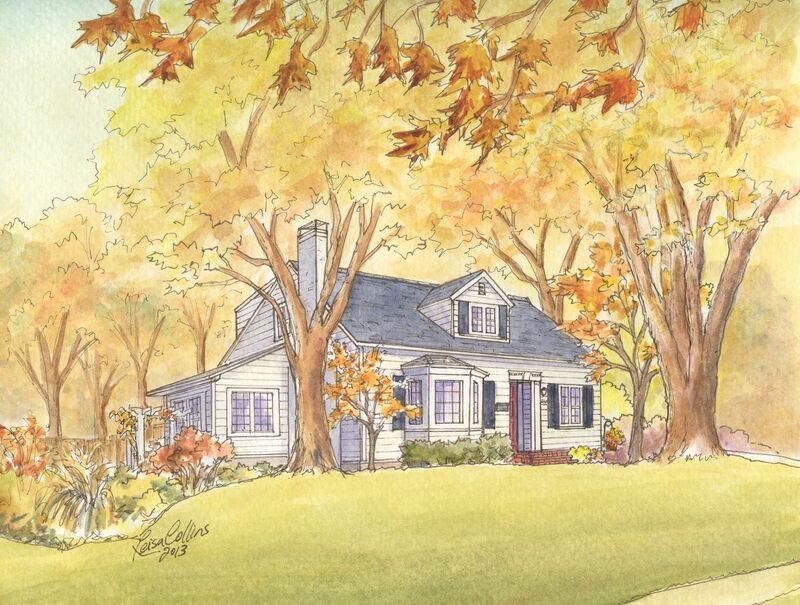 I am excited to share the final home in my East Grand Rapids portrait collection with you, as the homeowners requested one portrait for each season of the year. It goes to show how much the change in weather and foliage can enhance the natural beauty of a charming home in such simple ways! 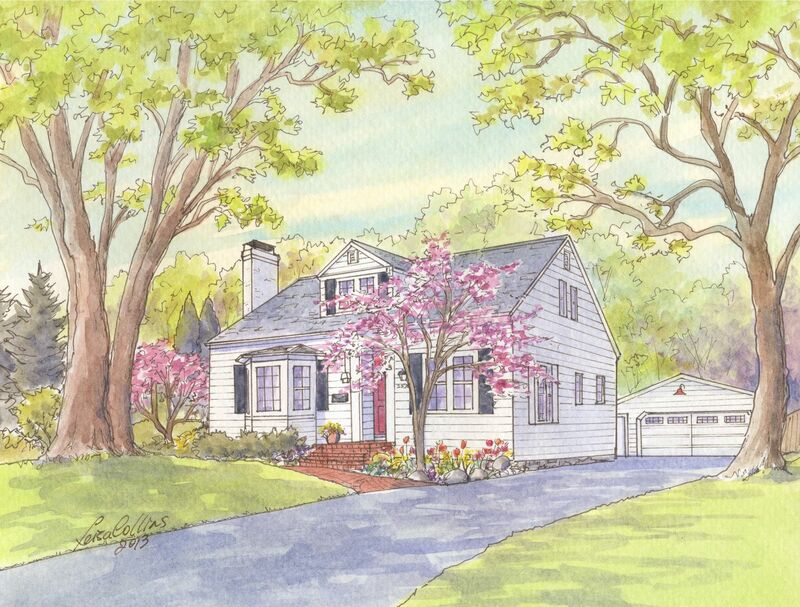 You can see the vibrancy in the springtime foliage, the warmth of the summer sun, the beautiful change in the leaves in fall, and the magical snow cover in winter, depicted in this one portrait of this Cape Cod home. 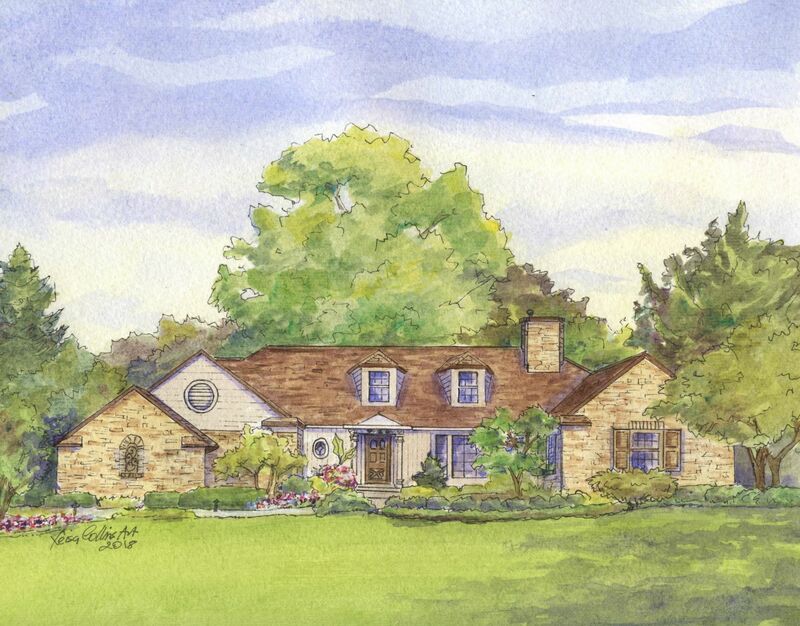 I would like to thank all my clients in East Grand Rapids for having such beautiful art inspiring homes. 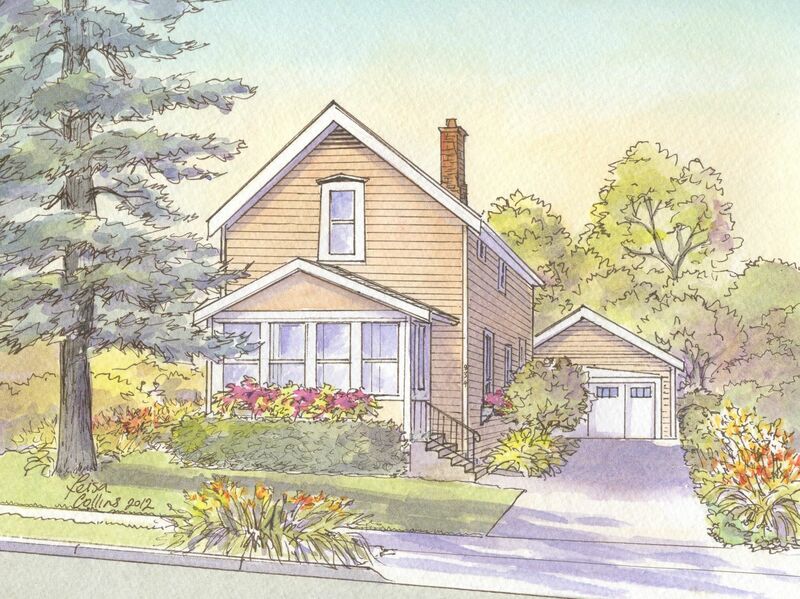 I hope you have enjoyed my selection of homes in this charming Michigan city! 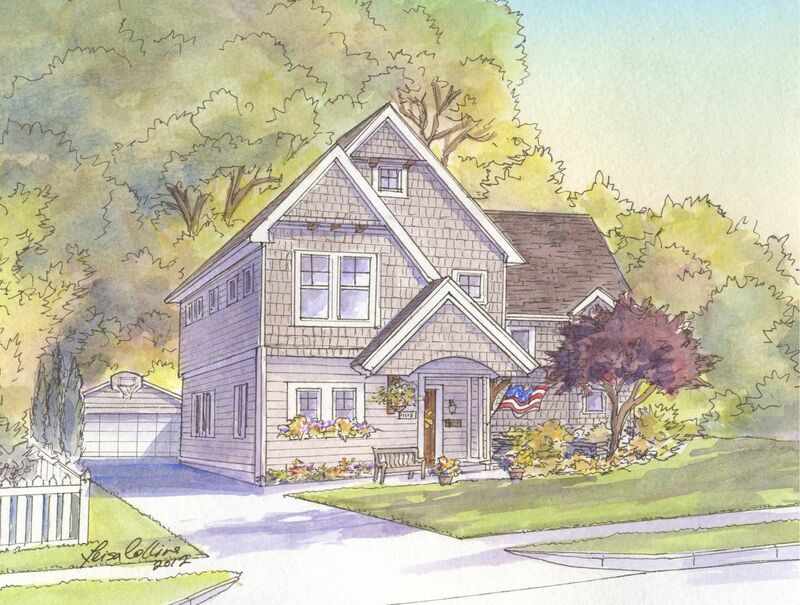 I am looking forward to expanding my Grand Rapids collection with a series of Heritage Hill homes. 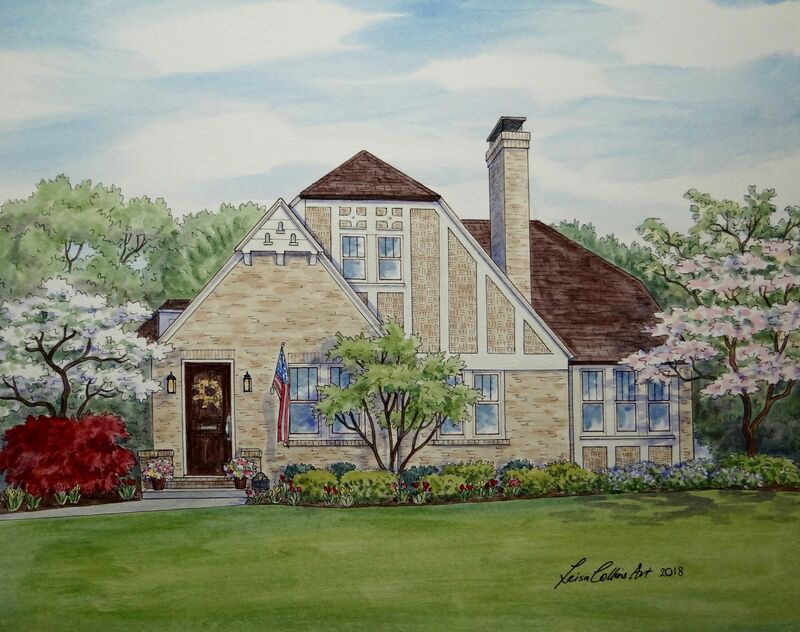 If you live in the greater Grand Rapids area and would like to commission me to create a custom portrait of your home, I would be honored to capture all those special memories in an original painting. Just get in touch with me to discuss the project.